This post is for everyone who searched for ‘ holidays in Sweden’ . I don’t know about you, but one of the first things I check when I am moving to a country is how many Public holidays it has. Because as a student you know long weekend trips and binge-watching series will feature during your semester. It’s easy to google and count how many holidays are celebrated in Sweden or check your school calendar and see when your school breaks. But today, I give you ‘The unofficial student guide to holidays in Sweden’. According to this website dedicated to public holidays. Yes, there is a website dedicated to public holidays. 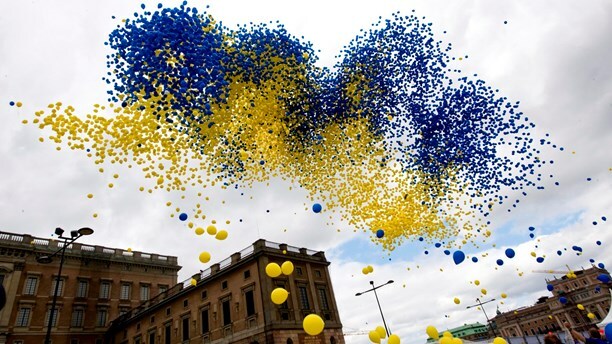 There are 13 official public holidays in Sweden. However, officially according to the 2017 Government circular there are an additional five days that are equivalent to public holidays. Examples of these include Christmas and New Year’s Eve. This compare to my home country Kenya’s 16. Ascension Day – This is the 40th day of Easter. It is a Christian holiday that commemorates Jesus Christ’s ascension into heaven according to Christian belief. Whit Sunday (Pentacost)– This is celebrated on the 4th of June. This is a Christian holiday commemorating the descent of the Holy Ghost upon the disciples of Jesus Christ, according to the New Testament of the Bible. All Saints Day– In 731 AD the 1st of November was designated as a day of remembrance for all the saints who had no days of their own. In modern times people commemorate the day by placing lighted candles and wreaths on graves. It also marks the first day of winter and the start of the alpine ski season. Midsummer Day– Celebrated in mid-June. This video perfectly describes it as a holiday dedicated to eating, drinking, dancing and assorted pagan rituals. 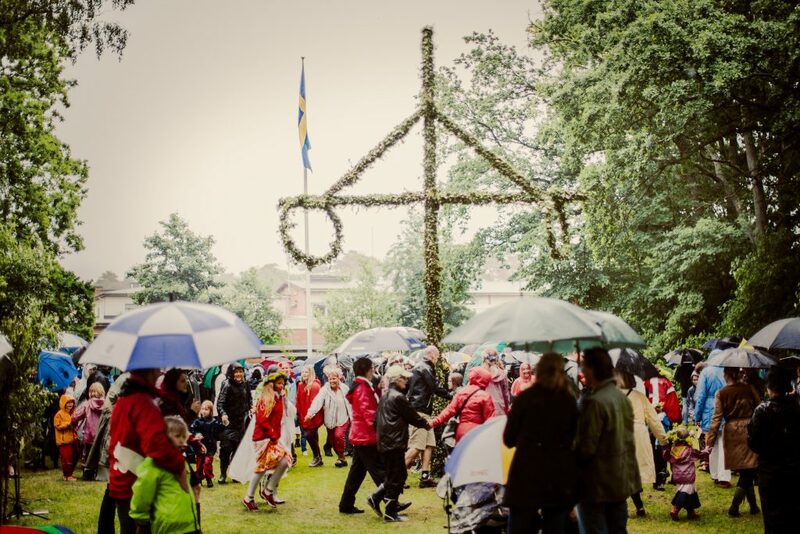 When I close my eyes and picture a swedish summer the first picture that pops into my head is flower headbands (krans), drinking (nubbe), dancing ( Små grodorna) around the maypole and singing songs in the rain. This is the swedish Midsummer. Second only to Christmas this day includes the longest day in which the sun shines but also where it rains! This I found to be a very interesting notion. Sweden has ‘food days’ in which various foods and pastries are celebrated. This is an excuse to go to your local supermarket or if you’re feeling fancy to your local café to try out some great Swedish delicacies. Please note you still have to go to school or work! 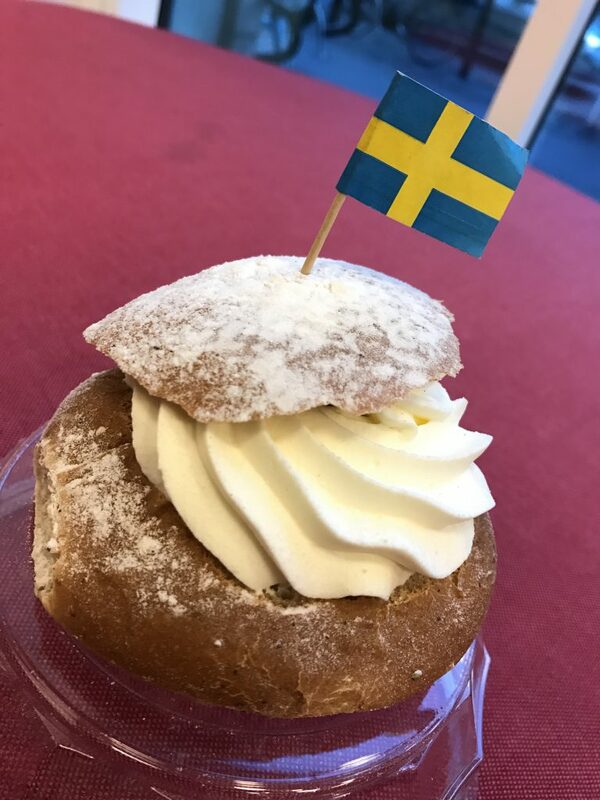 Fat Tuesday (Fettisdagen) – Celebrated on the Tuesday between Shrove Monday and Ash Wednesday, there is a Swedish tradition of eating Fat Tuesday Buns (Semla). Semla is a small bun made of wheat filled with marzipan and whipped cream and flavoured with cardamom. Here is a great recipe. I had my first Semla bun last year and it was MUMS! Waffle Day (Våffeldagen) – This holiday is celebrated on March 25th. It was created by accident when the original day (Vårfrudagen) – ‘Our Lady Day’, which was a celebration of the Virgin Mary’s conception was confused as Vårfrudagen sounds so close to Våffeldagen. Sweet toothed Swedes went with it. 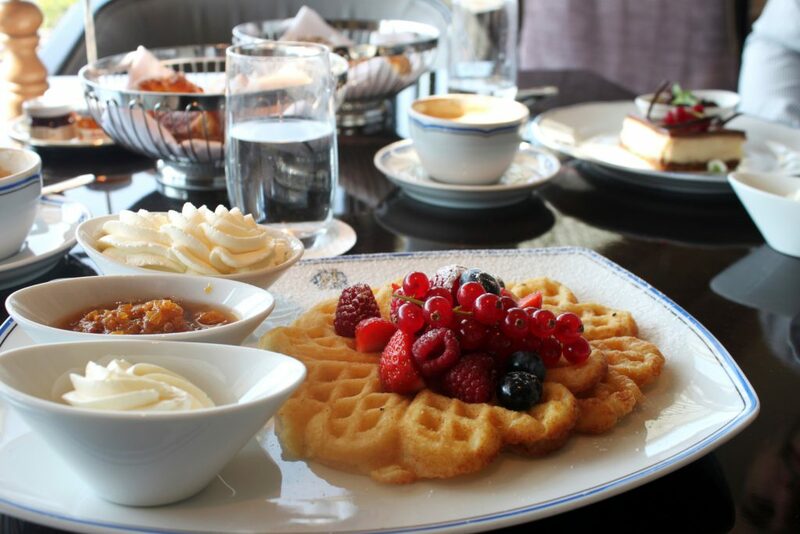 Grab some crispy waffles and eat them with berries and no jam Swedish style. 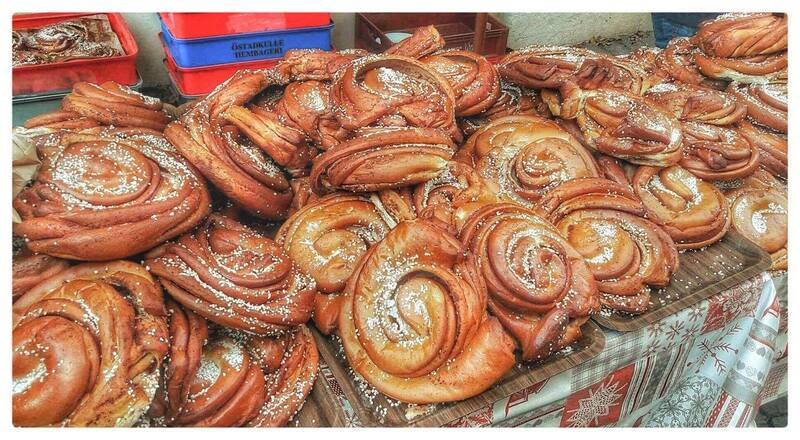 Cinnamon Bun Day (Kanelbullens dag) – This holiday is celebrated on October 4th. I would call it the main food holiday in Sweden. If you’ve been here for a while there’s a 100% chance you’ve tasted these flavorful pastries. They are available everywhere from your local 7 eleven to the highest upmarket patisserie. The kanelbulle is a Swedish staple. According to Sweden.se, the average Swede eats cakes and pastry equivalent to 316 cinnamon buns per year, plus the home-baked ones. That’s a lot of buns hun! I always keep a frozen giant kanelbulle from my favorite café in Haga in my freezer just in case someone pops in for fika. Here’s a recipe if you want to make your own kanelbulle. 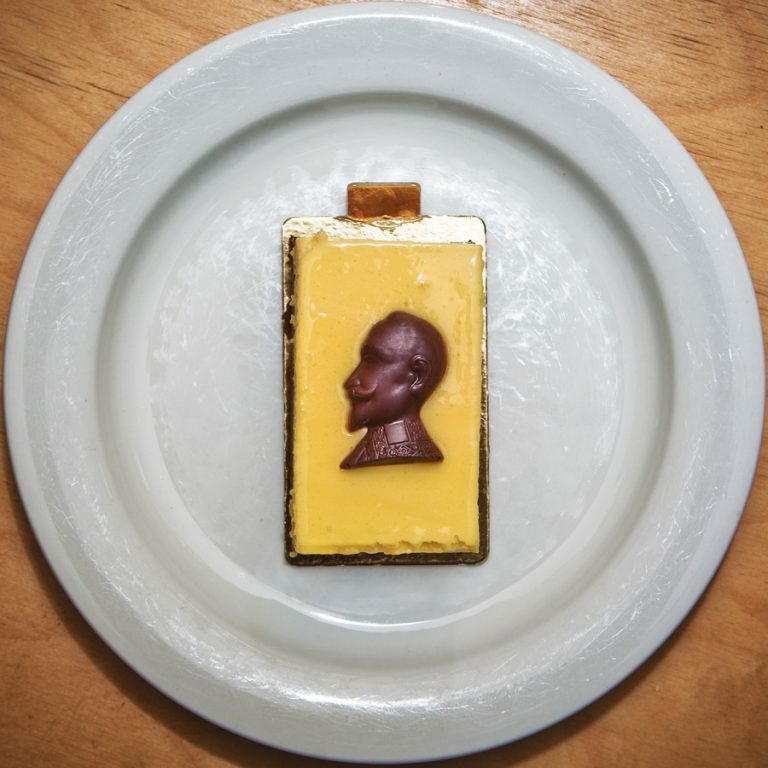 King Gustav II Adolf – On November 6th, sponge cakes filled with cream and decorated with a chocolate or marzipan silhouette of the late Swedish monarch are consumed. If you live in Gothenburg, you are sure to have seen a statue or two or a street named after him. He is regarded as the founding father of Gothenburg and many other towns across Sweden. He died in 1632 on the battlefield in Lützen in Germany during the Thirty Years War. Pancake Thursday – Not to be confused with Shrove Tuesday. Pancake Day in Sweden is celebrated every Thursday. 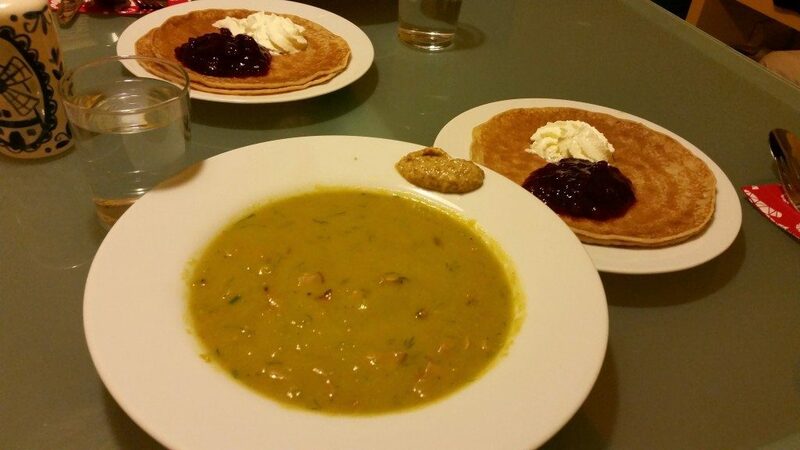 On Thursdays, pancakes are served with Pea Soup in schools, the Swedish military and even some workplaces as a delicacy. This dates back hundreds of years to the 15th Century. Today Swedes serve their sweet pancakes with anything from whipped cream to sugar and berries. I love mine with Lingon or Hallon Sylt. Or with lemon and sugar. The Crayfish Party – This is not necessarily celebrated on a day but rather during the month on August. These expensive creatures have been consumed in Sweden since the 1500s. Today, a crayfish party is a chance to come together to celebrate the end of summer. People gather to eat, drink and be merry. 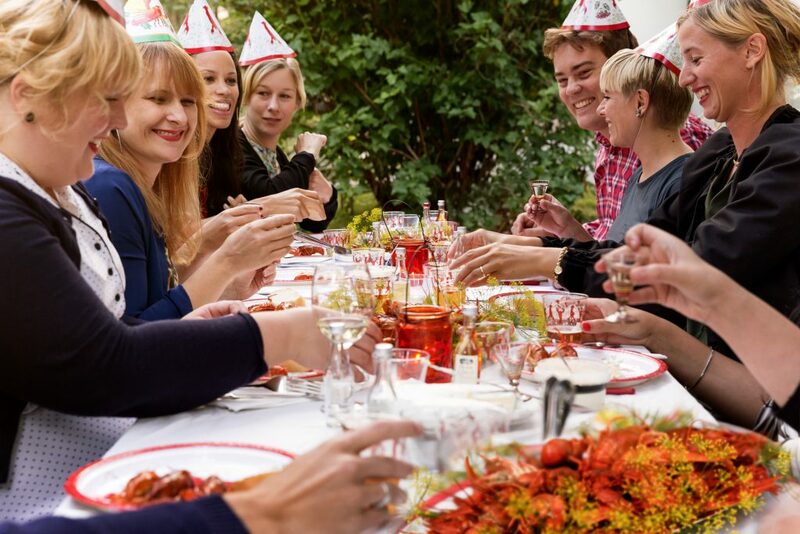 Make it a point to attend a crayfish party during your time in Sweden. Read Sania’s story on her first crayfish party here. Schnapps and singing included. 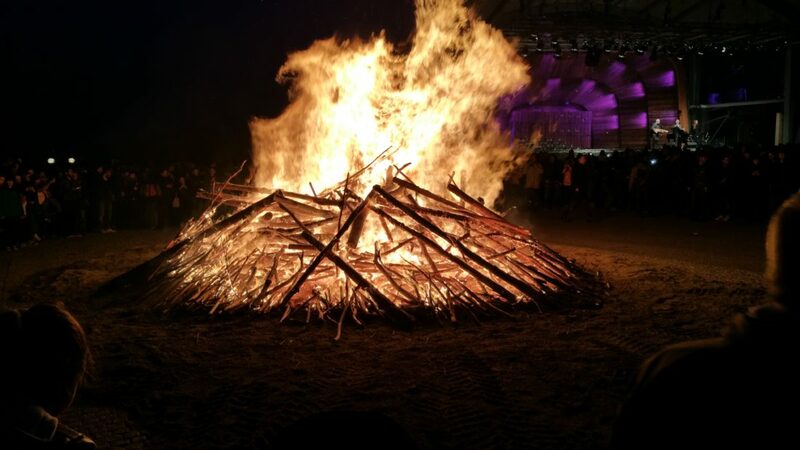 Walpurgis Night bonfire ( Valborg) – On April 30th, your student union or city will probably host a Valborg party and bonfire so keep a look out! If you’re lucky enough to live or study in Uppsala you are in for a treat! 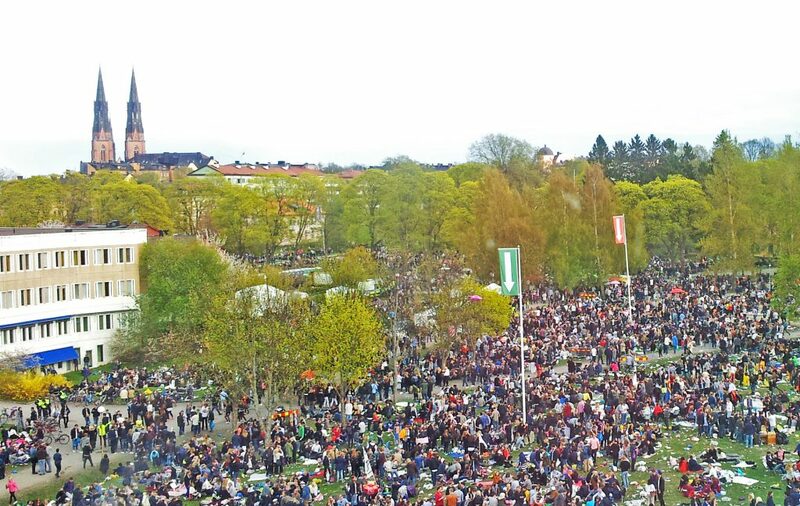 Valborg in Uppsala is the ‘go-to’ . They even have a website. It is said to be the greatest festival of the year for Uppsala students, with rafts running the rapids, herring lunches, parties, and much more. Read Francesca’s wild blogpost here. 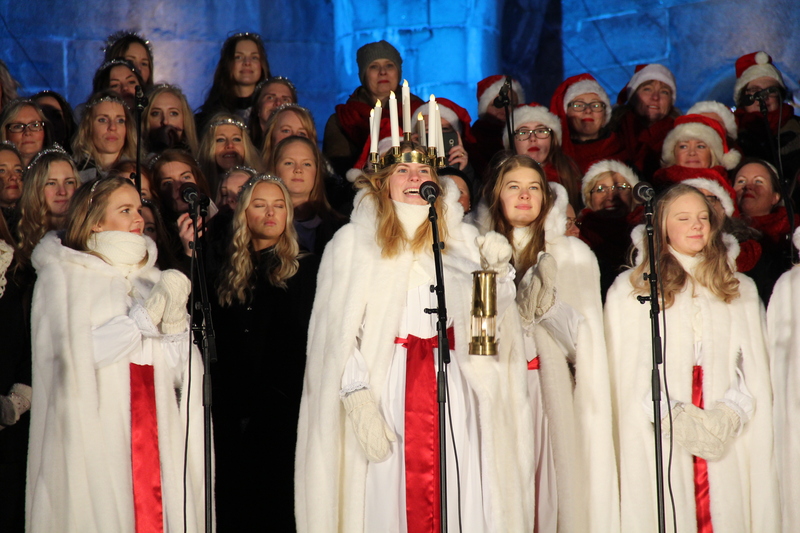 Lucia – Celebrated on the 13th of December, an annual candlelight procession is held in which little girls and boys wearing white floor length gowns sing hymns. Traditionally a girl is picked to be the Lucia and she wears a crown of candles on her head. In modern times this has been replaced by electric candles. Her handmaidens carry a candle each while the star boys carry starts on sticks and wear tall paper cones on their heads. Most churches hold Lucia masses and I must say it is a beautiful event to attend. 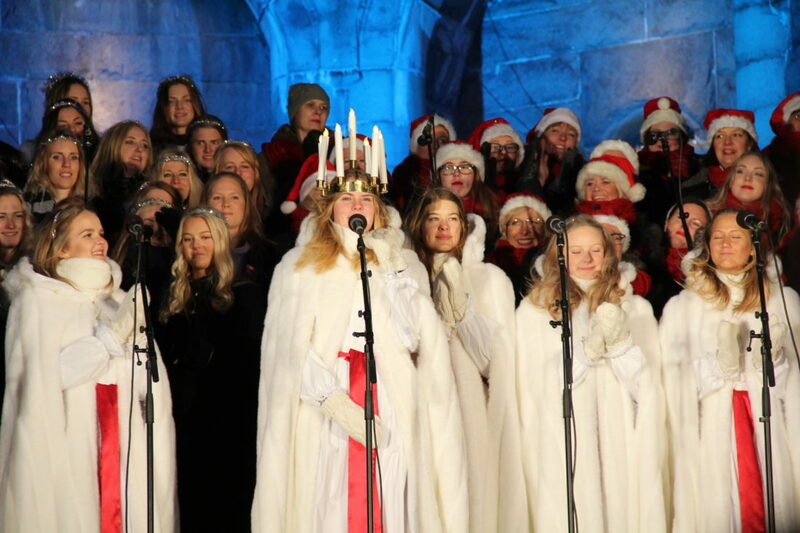 Here is a post Ivanna wrote about her first Lucia. 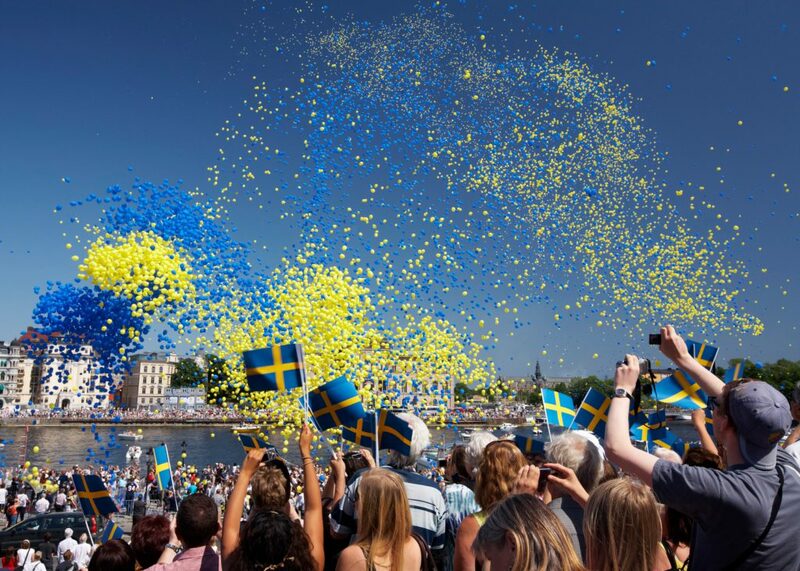 Sweden is a country full of culture and tradition and I hope this student guide to Holidays in Sweden will tempt you to attend a crayfish party, midsummer celebration or try a Semla Bun! 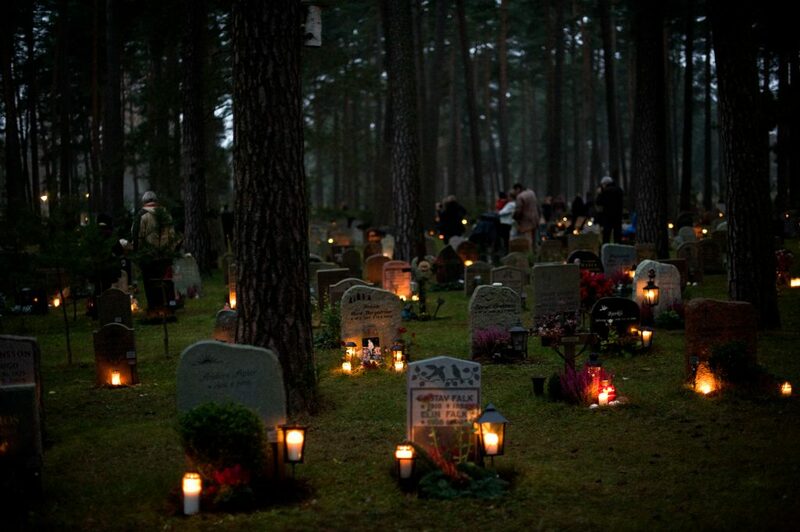 Here are a list of 13 Stories on Swedish Traditions! That is such a useful post, Annita!